Recovered from HobbitCon and/or WonderCon yet? Ready to do it all again? We’re about to get the party started here in Calgary, where the Calgary EXPO takes place this weekend! The exhibition floor is open Thursday 4-8pm, Friday 12noon-8pm, Saturday 10am-7pm, and Sunday 10am-5pm. TheOneRing.net will be at Booth 2007 (which is in Halls DE); we’re just a few booths down from our good friends at WETA, who will be at Booth 2000. Come by and play trivia, meet some TORn staff, buy a tshirt or a button, and support the website! 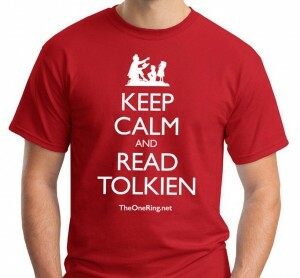 Our EXCLUSIVE shirt for this convention is ‘Keep Calm and Read Tolkien’. 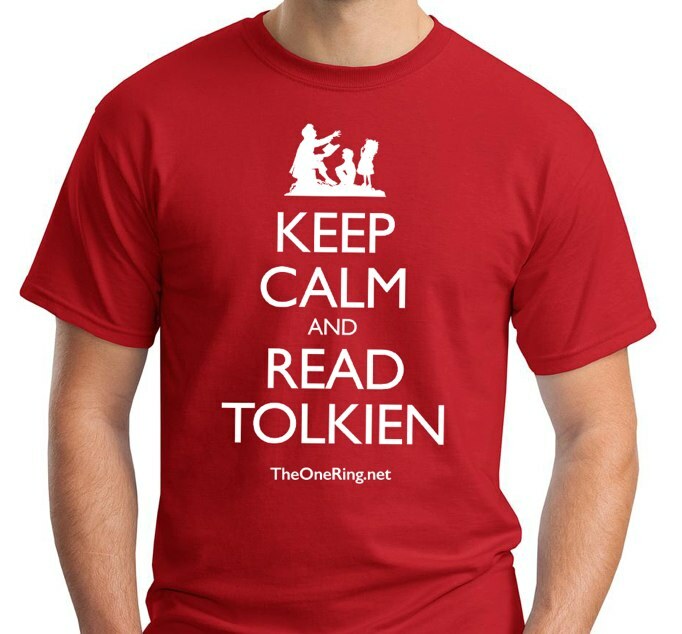 Movie titles may be changing all around us, but Tolkien remains constant, and a refuge from the storm of Real Life! Looking forward to seeing our fellow fans at Stampede Park! Let the fun begin!